Addiction Drug’s Side Effect: More Overdoses? Researchers suggest people getting Vivitrol shots may be more susceptible to a fatal overdose if they halt the regimen early and resume using opiates. At the very moment that the Trump administration has thrown its weight behind a particular medication meant to deter opioid addiction, a new paper in a public-health journal is warning that too little is known about one of the medication’s possible downsides: a heightened chance of overdose among those who stop taking it prematurely. The drug in question is Vivitrol, which is administered as an injection in the buttocks. It promises to block the patient from getting high on heroin or other opiates for a month after the shot. Ideally, it is taken for up to a year — long enough for those suffering addiction to get themselves back on their feet, drug-free. Since it received FDA approval in 2010 based on a single trial in Russia, sales of the medication — which is a form of the opioid antagonist naltrexone and can cost as much as $1,000 per shot — have boomed to more than $200 million per year. The company’s manufacturer, Alkermes, has been especially effective at promoting the medication in the criminal justice setting, a strategy buttressed by the company’s heavy spending on lobbying and campaign contributions at the state and federal level. As ProPublica reported last year, the company has been pitching Vivitrol to drug court judges as an alternative to methadone and buprenorphine (also known as Suboxone), which wean addicts off heroin or prescription painkillers by serving as safer opioid substitutes, but which many judges dismiss as crutches, not true sobriety. 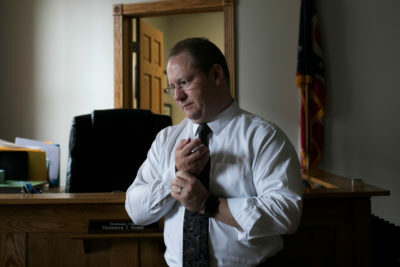 In some drug courts, judges are essentially requiring defendants to receive Vivitrol shots if they want to avoid jail time, without making Suboxone and methadone an option for defendants who might prefer that treatment. Vivitrol shots are also increasingly being given to opiate-addicted inmates prior to release from jail or prison, on the logic that the medication will bar them from relapse in their first few weeks back on the street. As the website STAT reported this week, a fact sheet outlining the Trump administration’s new strategy to combat the opioid epidemic includes a call for expanding the use of naltrexone in federal prisons — an unusual instance of a White House essentially boosting a specific medication, given that Vivitrol is the only long-acting naltrexone shot on the market. Despite its burgeoning sales, though, there is much less data available on Vivitrol than there is on methadone and buprenorphine. It was only late last year that the first U.S. study appeared comparing Vivitrol to buprenorphine, which is typically taken daily in the form of a tab under the tongue. 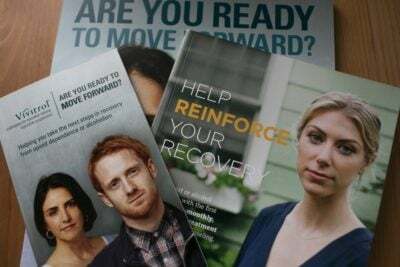 It found that Vivitrol was as effective as buprenorphine among those who received the injections — 52 percent of those who started on Vivitrol relapsed over the course of the 24-week study, compared with 56 percent of those who received Suboxone. But there was an asterisk for Vivitrol: More than a quarter of those assigned to the Vivitrol group dropped out before they even took their first shot, a reflection of the fact that Vivitrol, unlike methadone and buprenorphine, requires addicts to go through full detoxification from opioids before starting treatment, with all the agonizing withdrawal that entails. Now comes a new paper, in the journal Drug Safety, focusing on another aspect of Vivitrol: the risk of overdose among people who’ve stopped taking it. Precisely because Vivitrol deters opioid abuse while people are on it, it reduces their tolerance for opioids — unlike methadone and buprenorphine, which are themselves opioids. This means that those relapsing after a period of Vivitrol shots are at a particularly high risk of overdosing. The 2017 study comparing Vivitrol and Suboxone found similar rates of overdose among those who had stopped taking the medications, but several previous studies of Vivitrol have done a poor job of tracking those who stopped taking the shot prematurely. The three researchers who co-authored the Drug Safety paper sought to analyze the overdose risk after Vivitrol use through different means: the “adverse event” data that Alkermes is supposed to report to the FDA when it learns (typically from medical providers, criminal justice authorities, social workers or family members) of an overdose suffered by someone who had been taking Vivitrol. The researchers submitted a public records request to the FDA and received reports of 263 adverse events. Of those, some were duplicates, many were instances in which Alkermes had not been able to establish the cause of death, and 10 were suicides. This left 52 deaths that fit the definition of opioid overdoses following Vivitrol use. The researchers analyzed those 52 deaths in search of any patterns. They found that five of the deaths occurred in the 28 days after a Vivitrol shot — that is, they were instances where someone was still under the effect of the opioid-antagonist, but had tried to override the block with a large amount of opioids, which is another potential risk in giving the shot to someone who is not personally committed to this course of treatment. But the average length of time between the last shot and the overdose, they determined, was 56.3 days, and the median length was 46 days — that is, the bulk of the reported deaths were occurring a few weeks after the effect of the last shot had worn off. The researchers conclude their paper by urging health-care providers, criminal justice authorities and the media to be more cognizant of the overdose risk when prescribing and promoting Vivitrol as a response to the opioid epidemic. They note that other medications — say, for high blood pressure — carry warnings noting that abruptly discontinuing use is risky. Amid a surging opiate crisis, the maker of the anti-addiction drug Vivitrol skirted the usual sales channels. It found a captive market for its once-a-month injection in the criminal justice system. The authors also call for better reporting on overdoses among those who’ve received the injection. Co-author Nabarun Dasgupta, a research scientist at the University of North Carolina, noted that Alkermes had established a cause of death for only 46 percent of the adverse events it was alerted to. “By any standard of safety surveillance, that’s a pretty unacceptable level,” he said. And only six of the adverse-event reports came to Alkermes from criminal justice officials, a suspiciously low number given the widespread use of Vivitrol by drug courts, jails and prisons. The lead author of the 2017 study comparing Vivitrol and buprenorphine, Joshua Lee, criticized the Drug Safety paper in more measured terms. He stressed that, according to his study, those on Vivitrol were no more prone to later overdose than those on Suboxone. Lee also said he understood the concern that the criminal justice system was pushing too many people onto Vivitrol to the exclusion of buprenorphine and methadone, but said that offering Vivitrol was still better than providing no medication at all for those battling addiction. “I don’t think the nation is at risk if it uses more Vivitrol,” he said. Do you have information about addiction drugs or the opiate epidemic we should know about? Here’s how to send tips and documents to ProPublica securely. For more coverage, read ProPublica’s previous reporting on efforts to stem the epidemic.